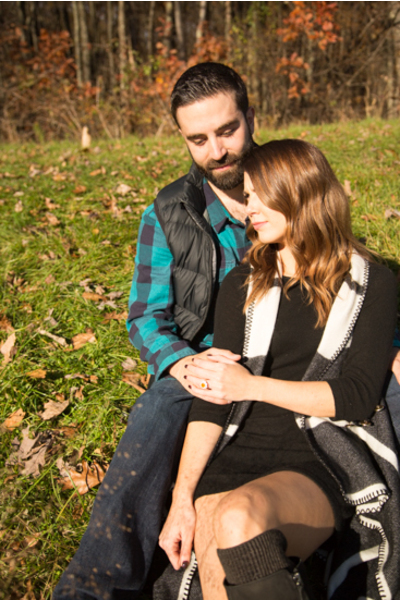 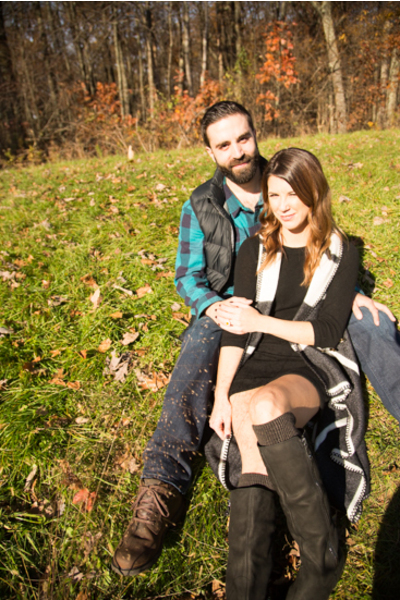 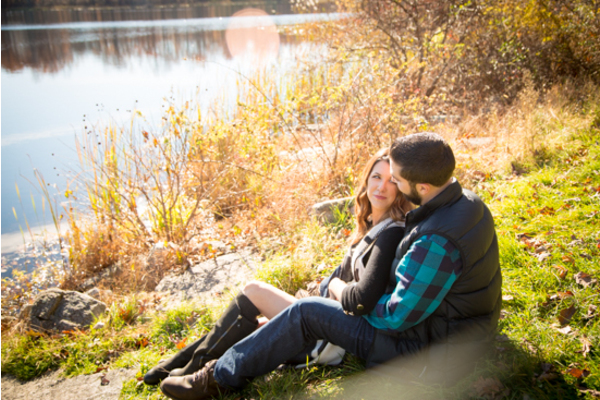 Congratulations to Meghann and Stephan on their recent engagement! 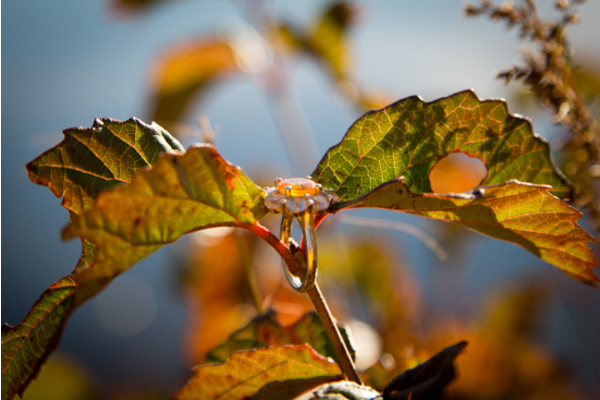 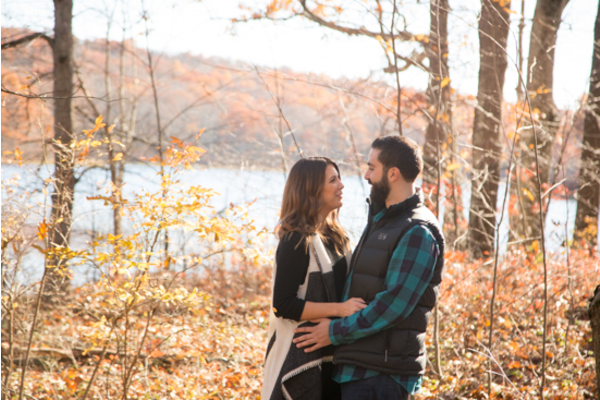 Wedding bells will ring this April when they tie the knot at Perona Farms! 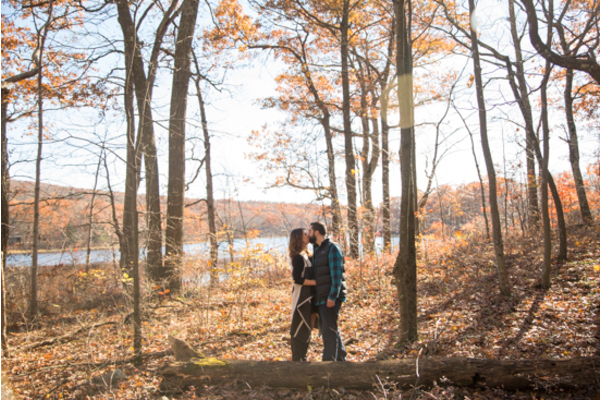 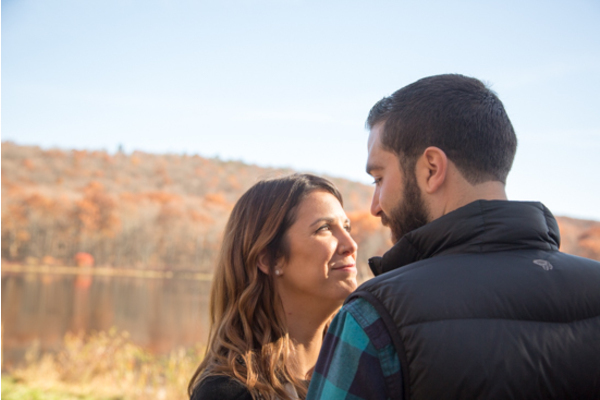 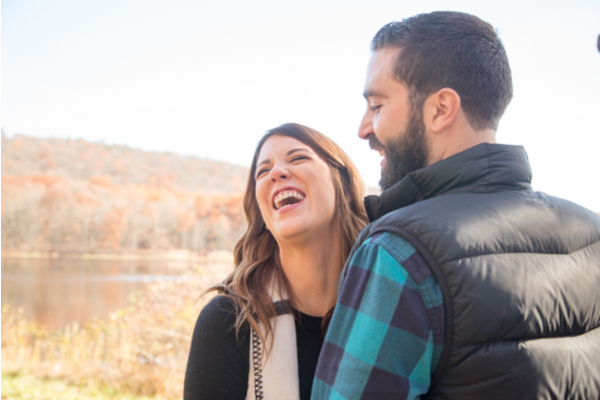 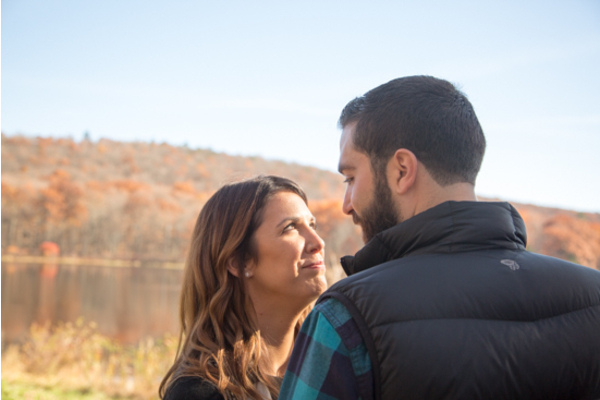 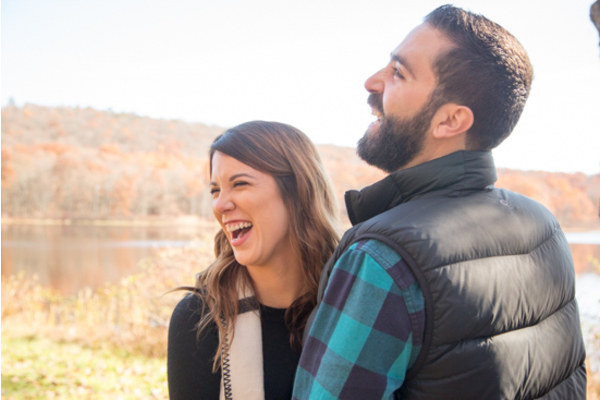 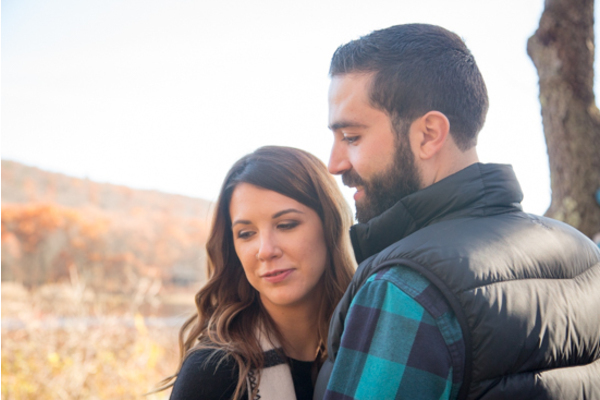 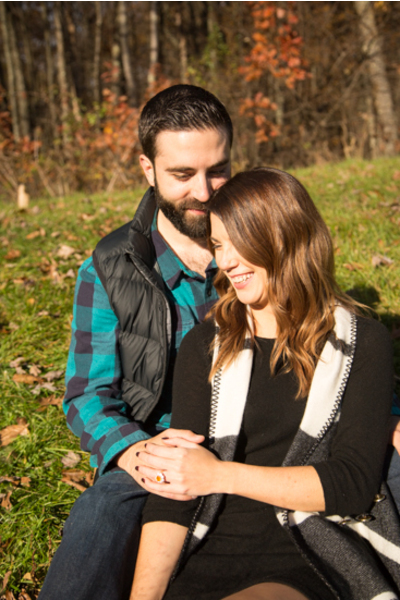 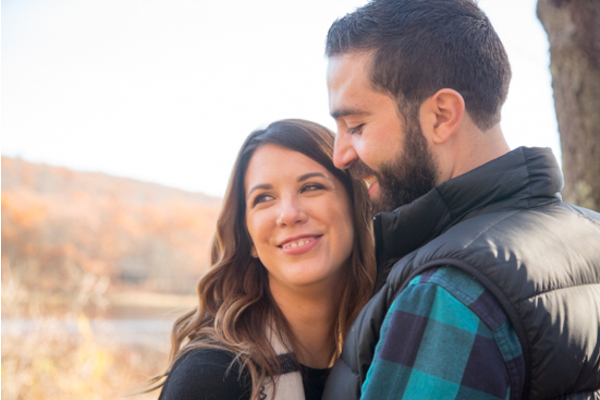 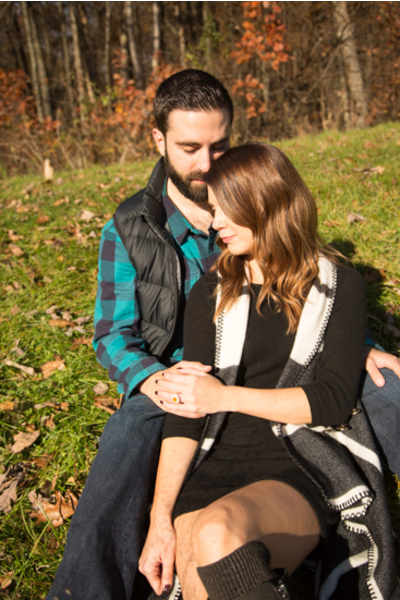 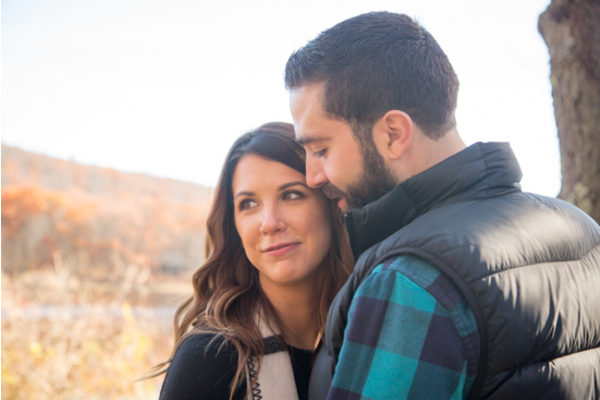 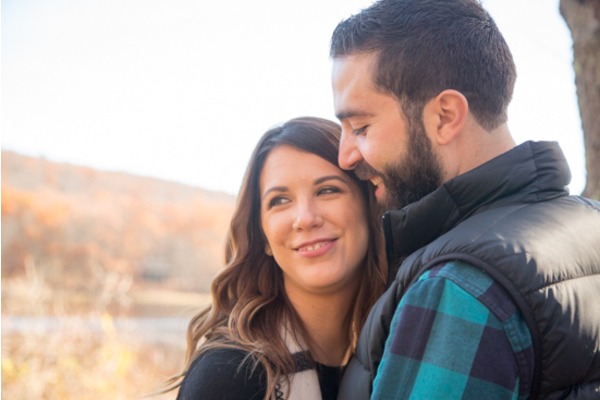 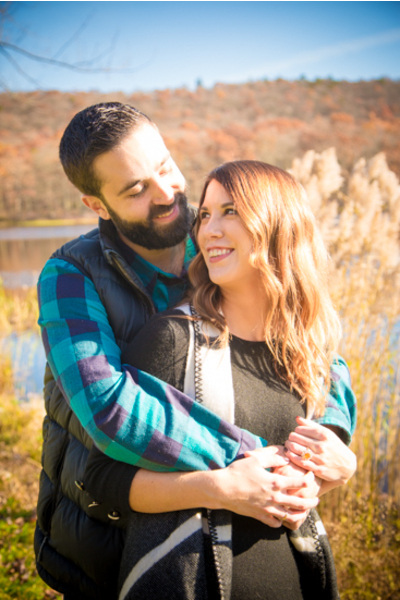 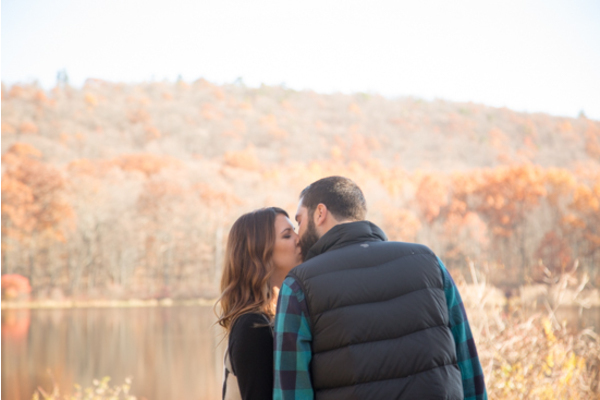 We had so much fun during their engagement session. 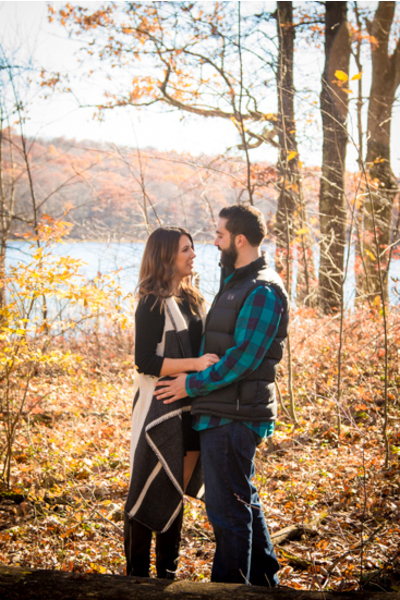 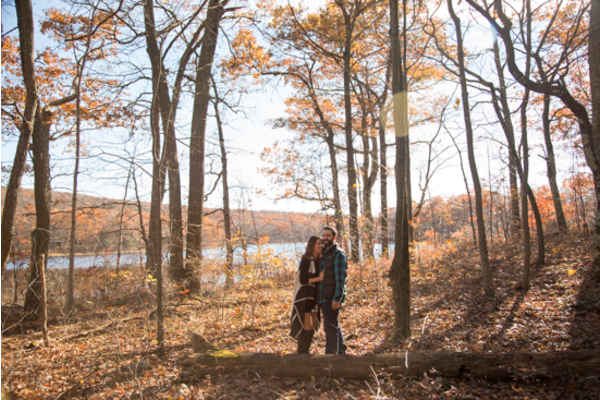 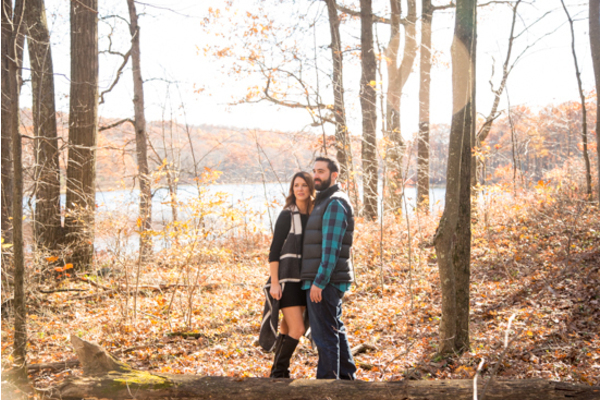 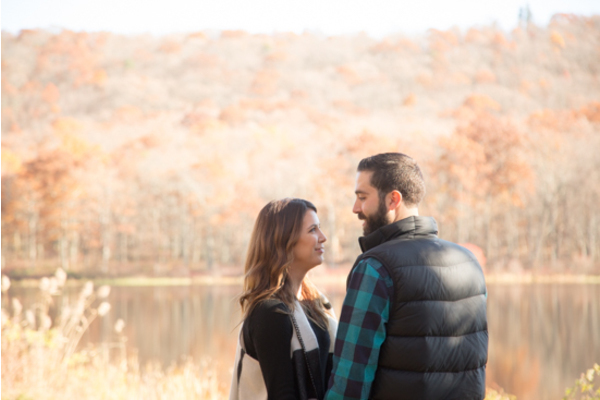 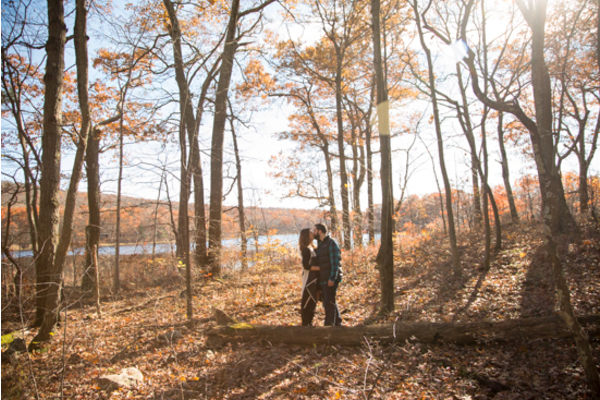 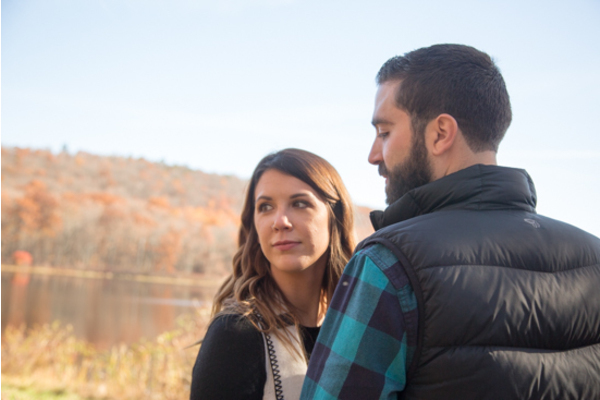 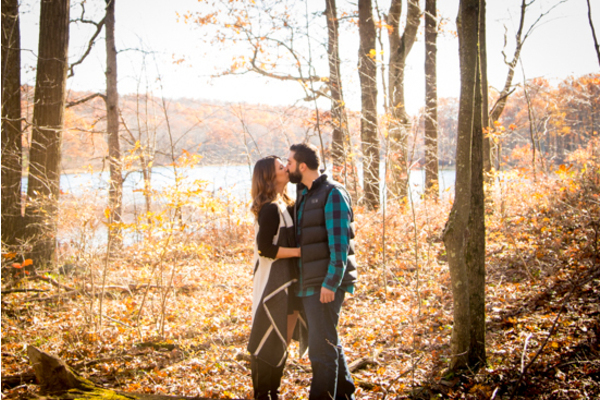 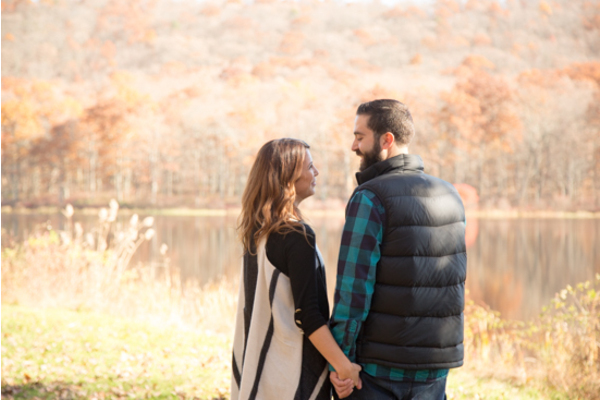 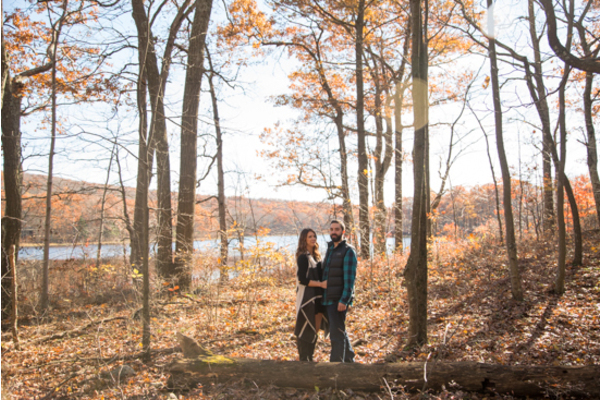 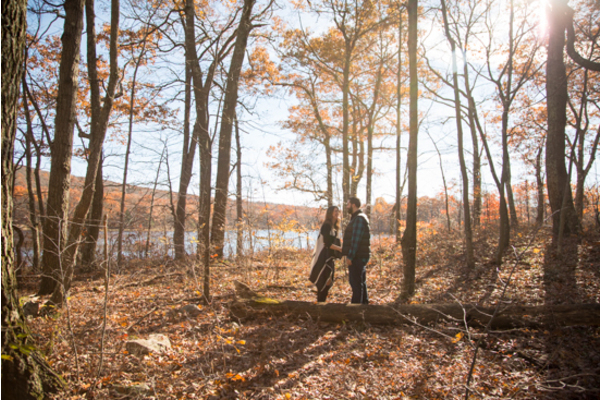 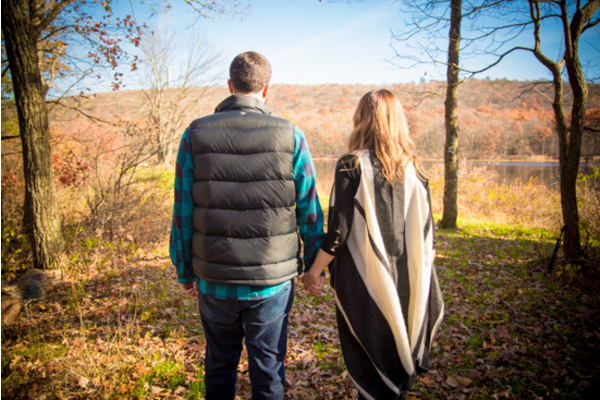 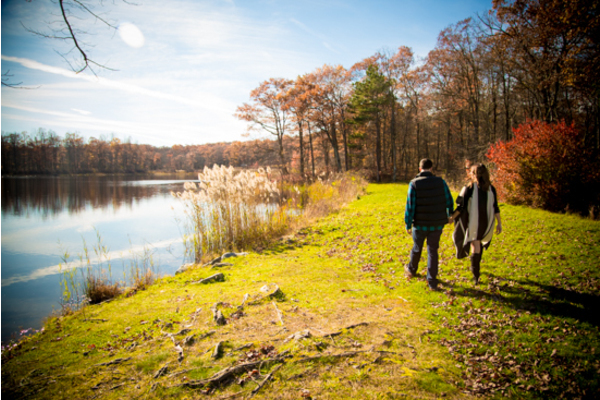 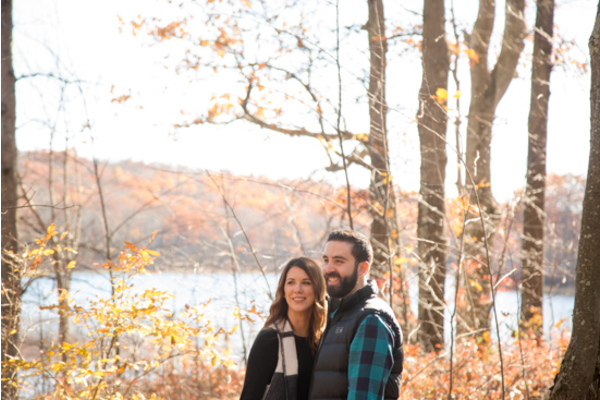 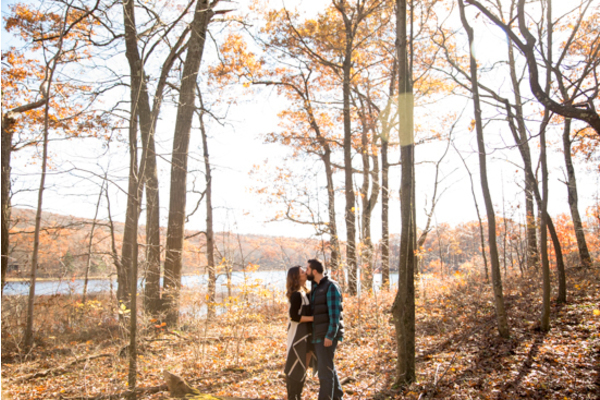 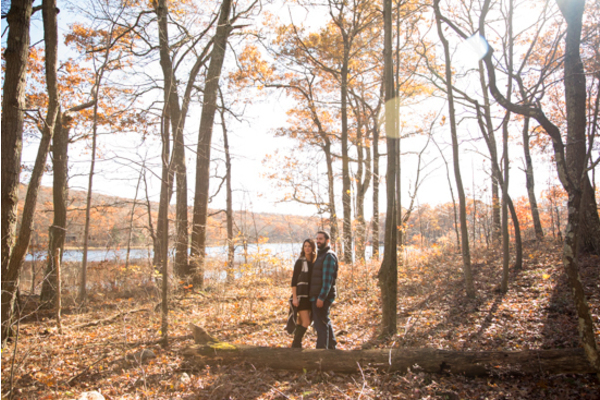 The happy couple and our NJ Wedding Photographer had a fun day in the park on a crisp fall afternoon. 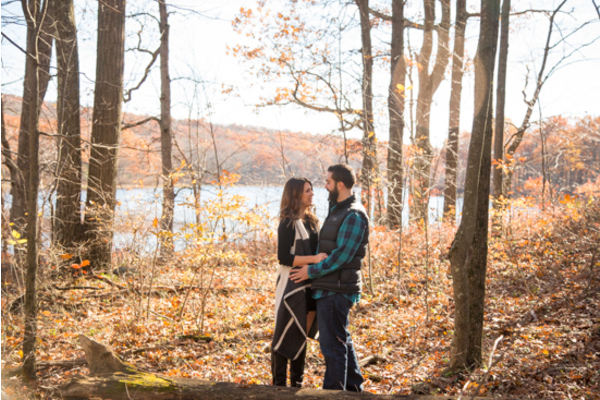 The leaves were so colorful in the background behind them! 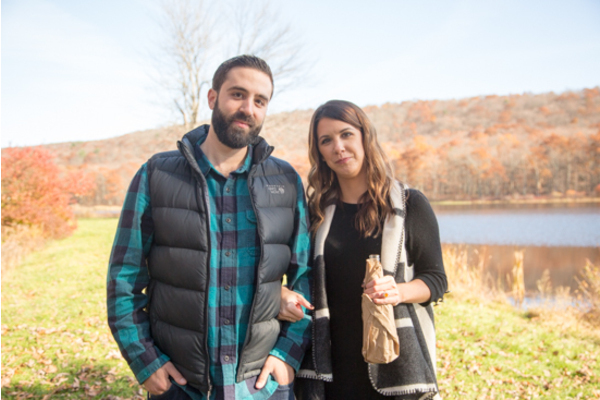 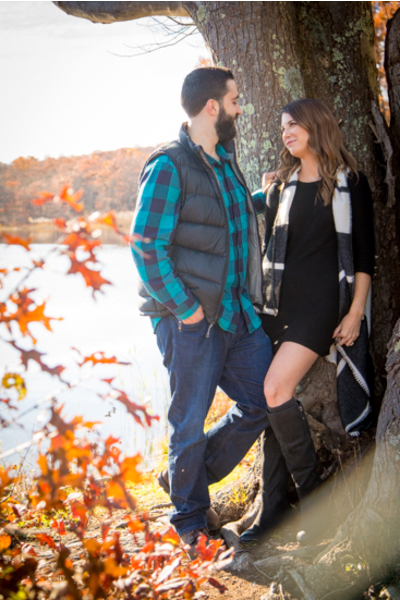 Meghann wore a black dress and boots with a striped poncho, while Stephan dressed in a plaid shirt. 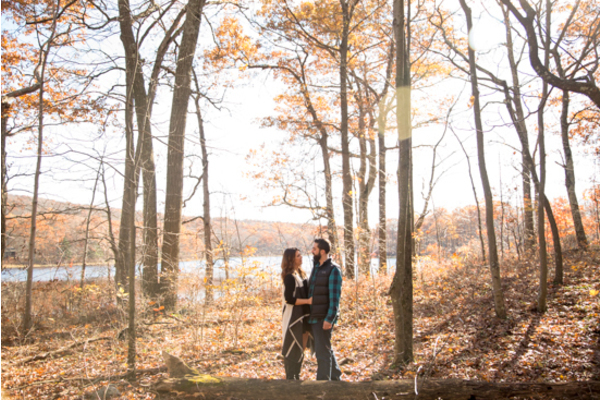 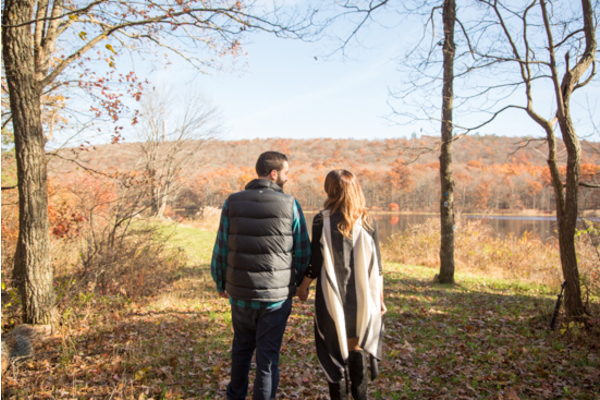 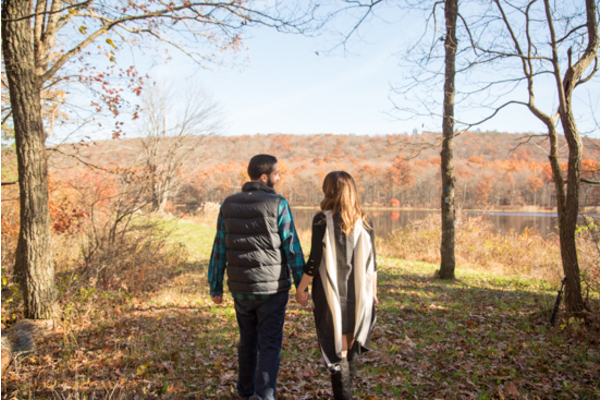 They started the day off in the woods surrounded by vibrant trees as they strolled towards the lake. 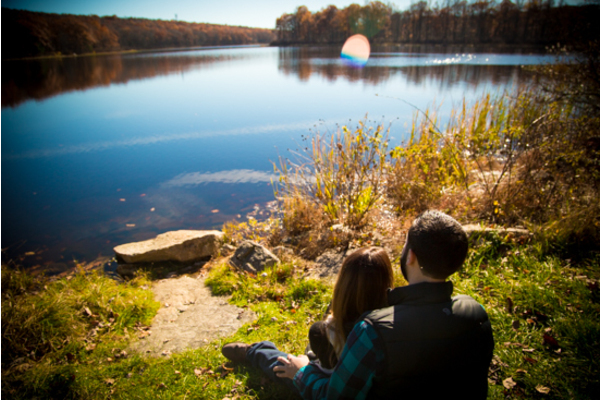 The lake beautifully reflected the nature scene that was above it. 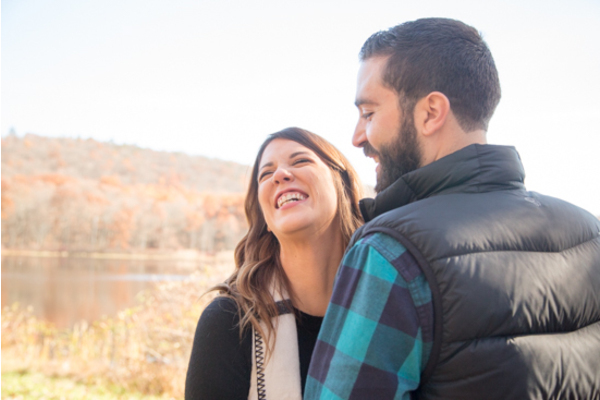 Meghann and Stephan held hands and he gave his soon-to-be bride a kiss and made her laugh endlessly! 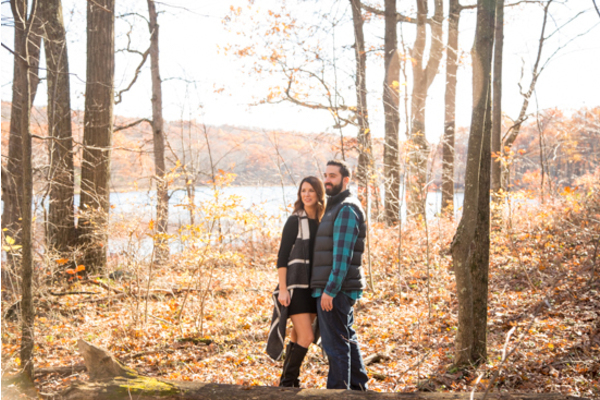 The seasonal woodlands, river and gardens are so adorable at this time that they were easily a perfect backdrop for unforgettable photos. 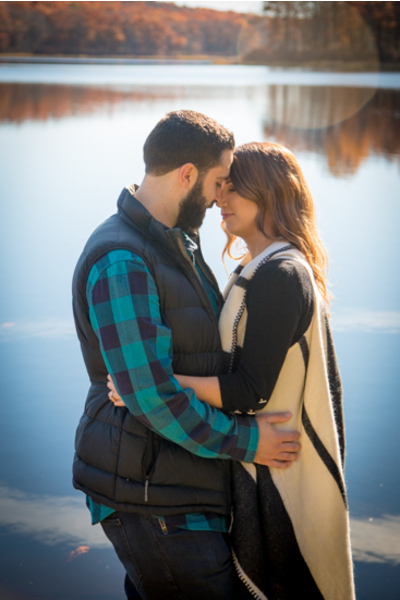 Our NJ Wedding Photographer easily captured the love these two share together! 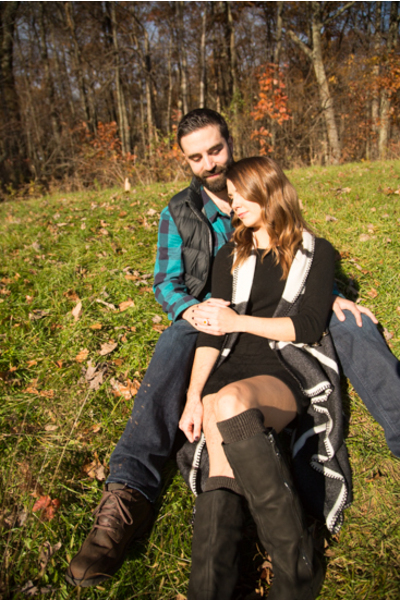 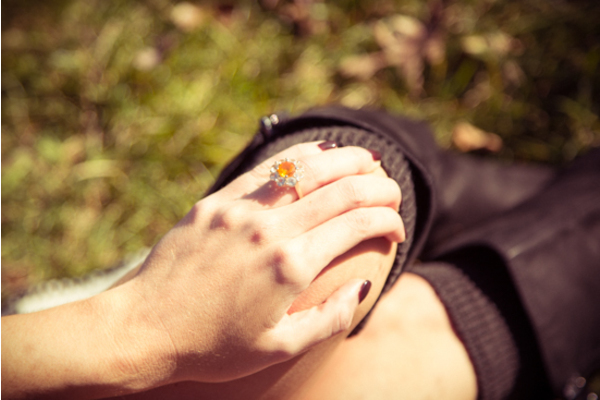 They sat down and admired the day and admired one another. 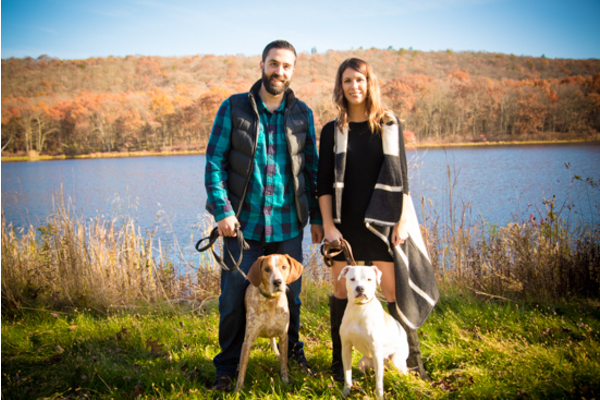 Notably, their two adorable pups even joined in on the fun fall photos! 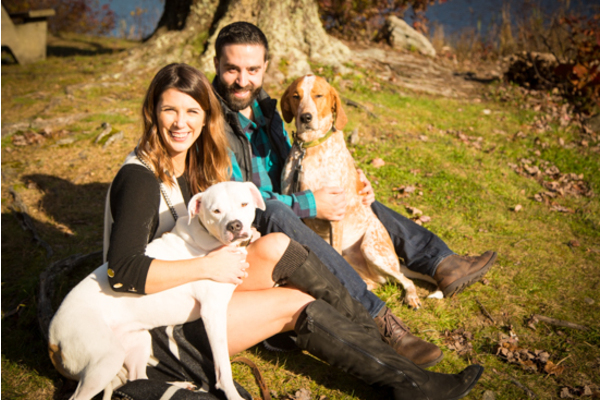 They gave their owners a bunch of cuddles and kisses! 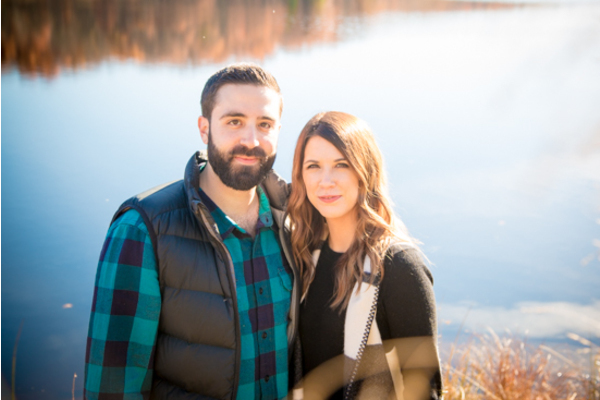 Congratulations, again, to Meghann and Stephan. 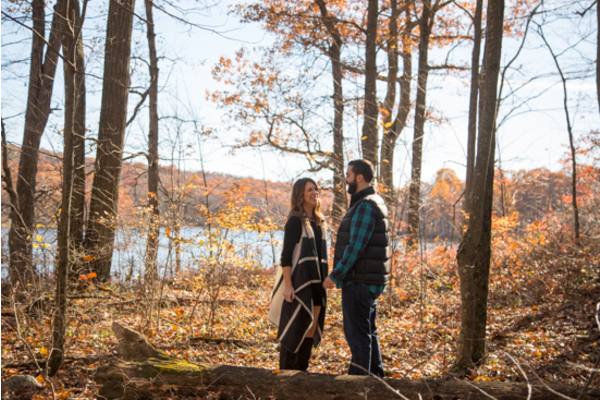 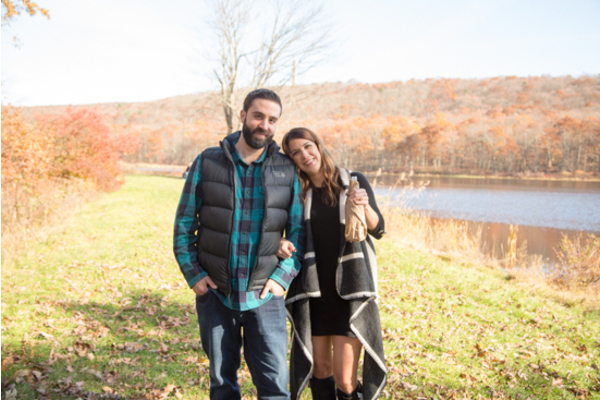 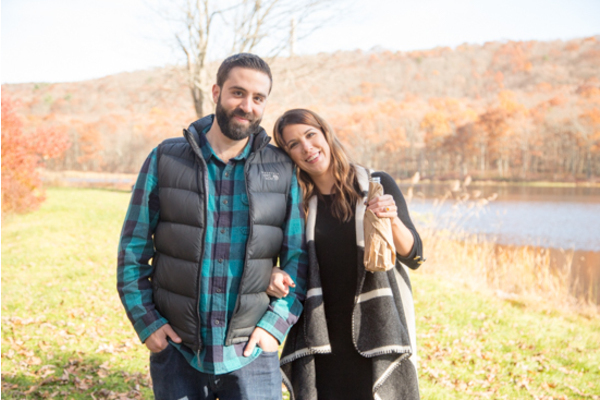 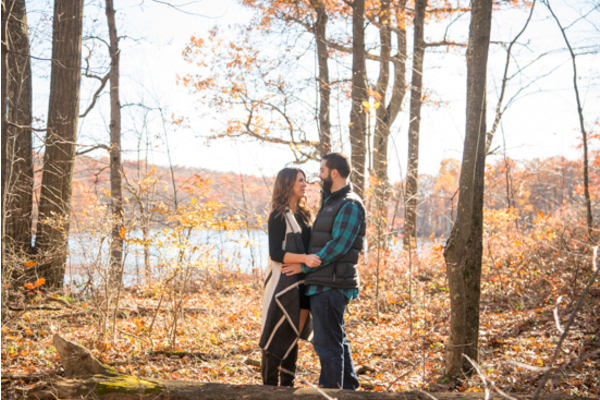 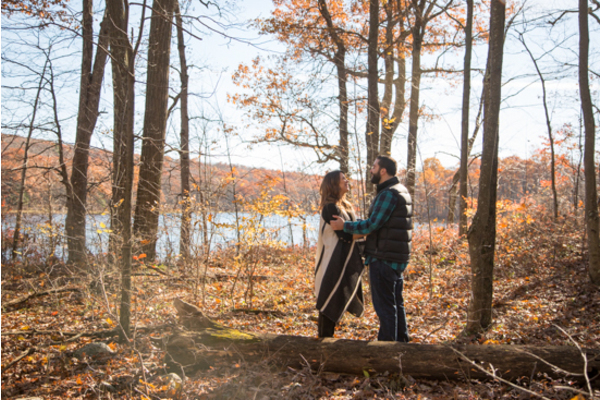 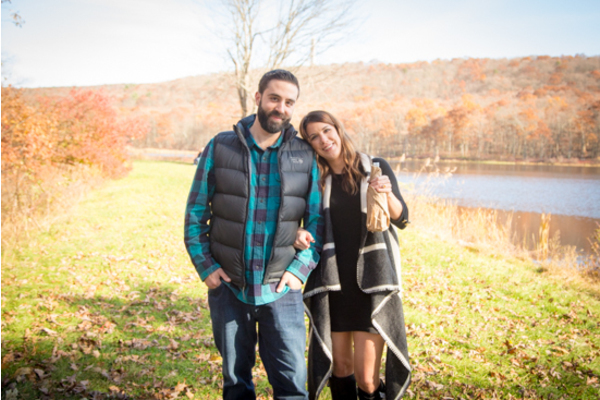 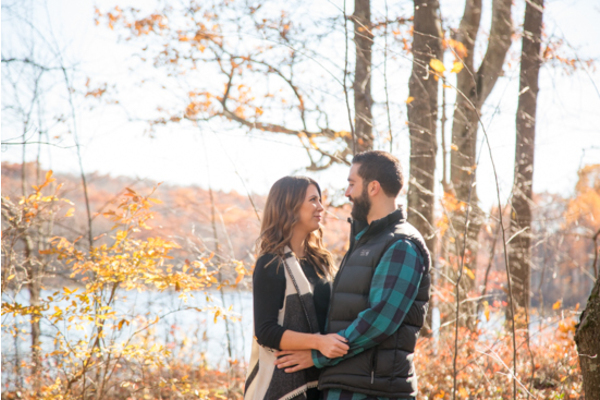 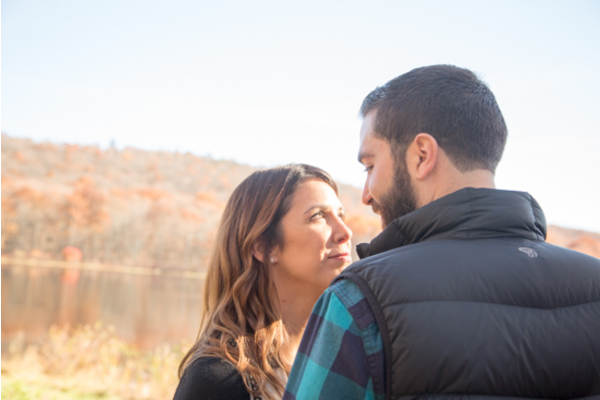 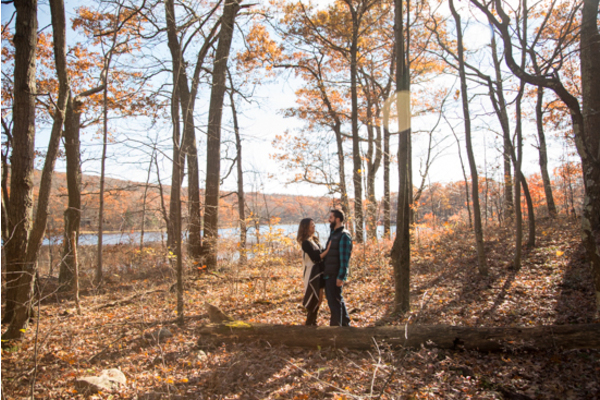 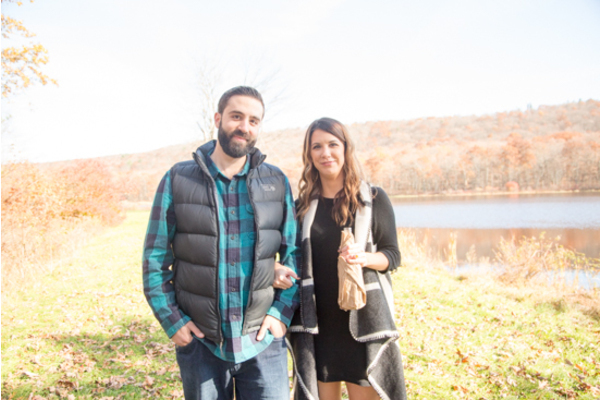 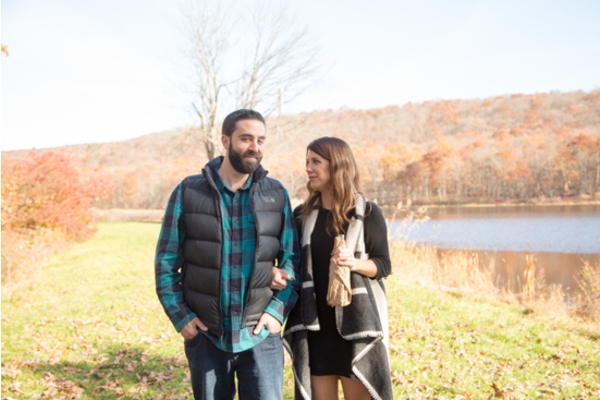 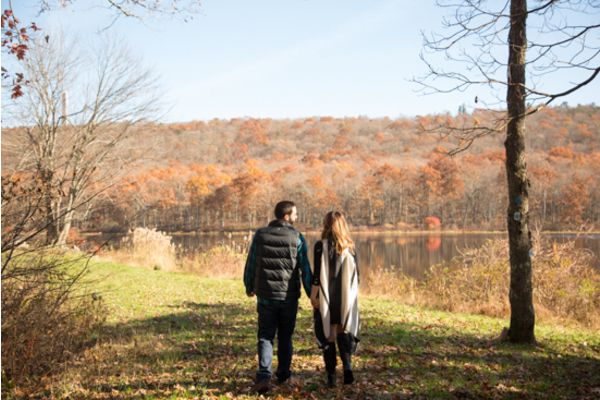 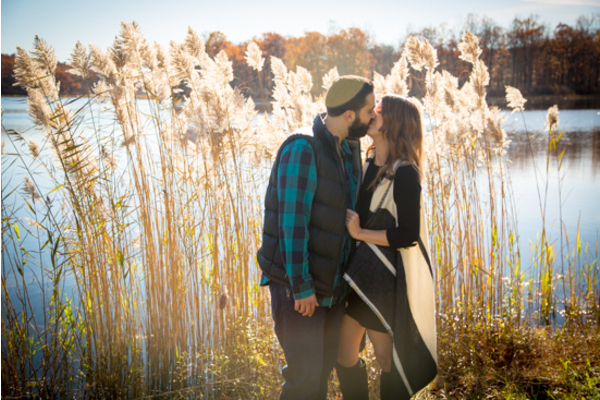 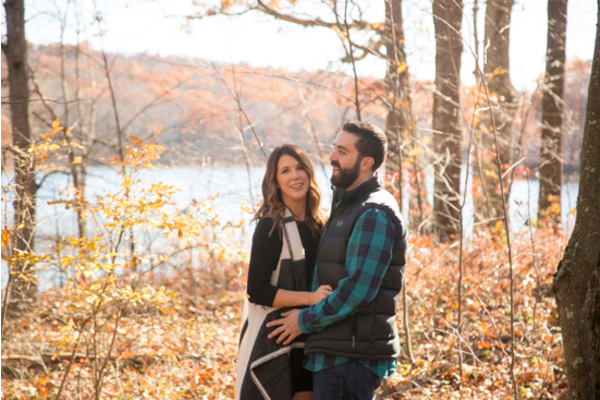 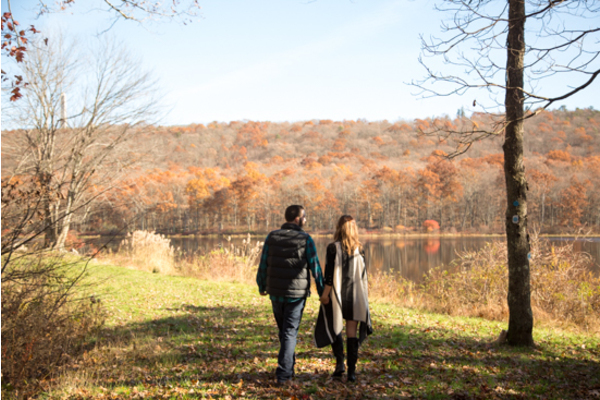 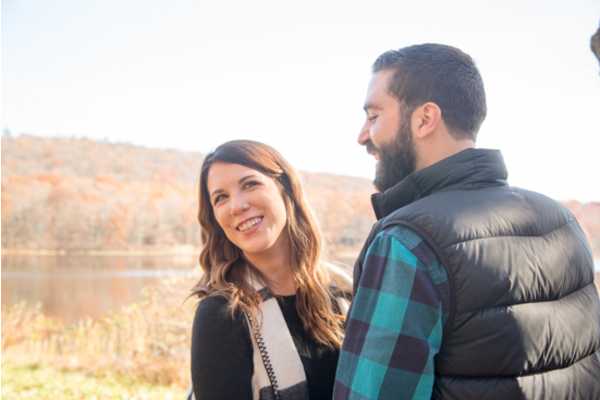 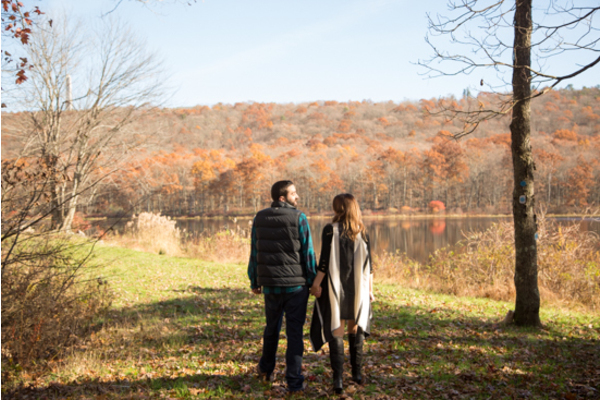 Our NJ Wedding Photographer did a fantastic job capturing their engagement session, and we are patiently waiting for this couple’s wedding day very soon!